UFO SIGHTINGS DAILY: Defence Minister of Canada Says Governments Need To Tell The Public The Truth About Aliens, Video, UFO Sighting News. 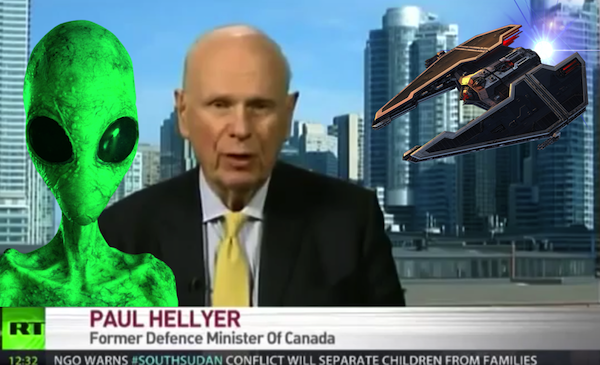 Defence Minister of Canada Says Governments Need To Tell The Public The Truth About Aliens, Video, UFO Sighting News. This is the Former Minster of Canada and he has a lot to say about UFOs and aliens. He has seen top secret US and Canadian documents that show photos and written proof of alien contact and how the governments of the world continually hide this information. Paul said enough is enough. Its time to tell the world the truth about the existence of aliens. He is risking a lot coming forward and telling the world about what he knows on national news and he is not benefiting at all from any of it. So if he doesn't benefit and telling the truth only hurts his career and future career in politics....then you know what he says is the truth, because what he knows is that the governments are hiding the existence of aliens...which would be the most monumental scientific discovery in the history humanity itself. Those who hide it have committed a crime against humanity and should be tried in an international tribunal court of law.